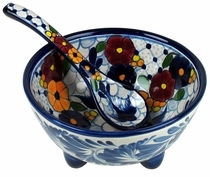 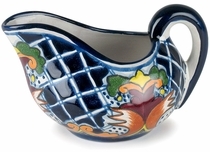 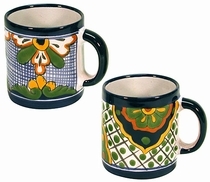 Talavera dishware and serving pieces have been used in Mexico for hundreds of years. 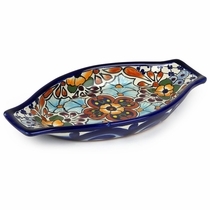 All of the items in this category are lead-free and safe for serving food and using as dinnerware. 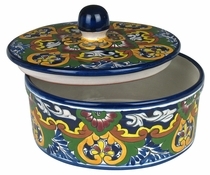 Talavera is dishwasher and oven safe. 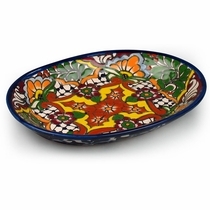 Our Talavera tableware makes such an attractive table setting, you won't ever want to put it away. 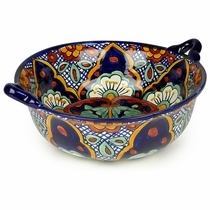 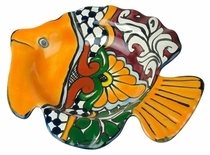 All of our Mexican Talavera dishes and serving pieces are handmade and hand painted by Mexico's talented potters. 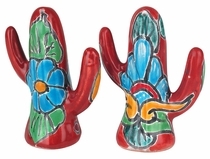 Direct From Mexico will carefully pack your order to ensure it arrives to you safely. 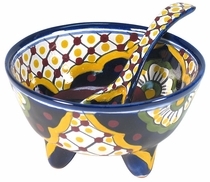 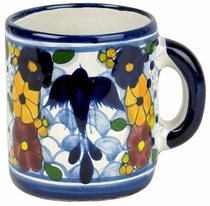 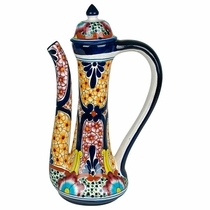 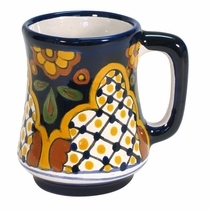 Traditional Assortment: (no symbol) Most of the Talavera dishware items on this page are representative of the Traditional Talavera style. 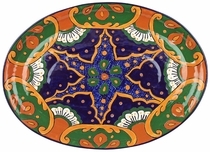 Ordered items will be chosen from our current assortment of available colors and designs. 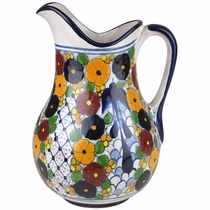 The item you receive will likely be different than the picture on our web site. 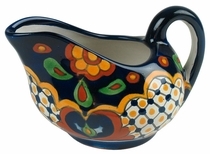 Actual Design Shown. 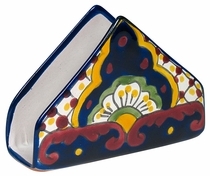 This symbol, next to an item, means the design shown on our web site will be the design and color scheme you receive. 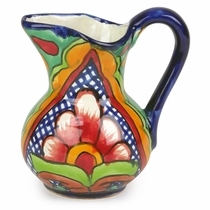 Only slight variations in color may occur since each item is handmade and hand painted. 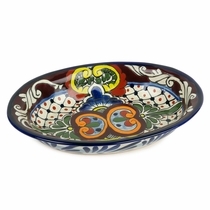 The Talavera Pattern Groups section contains matching patterns of Talavera plates, platters and dishware. 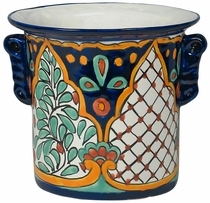 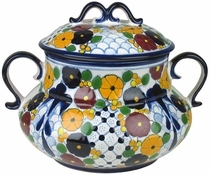 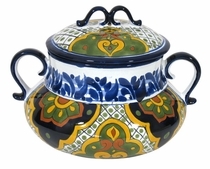 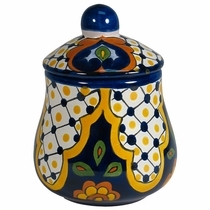 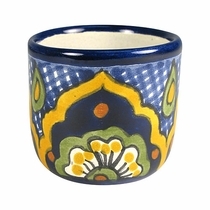 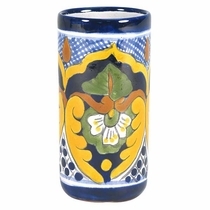 Click on our Talavera dishware pieces below for details and ordering. 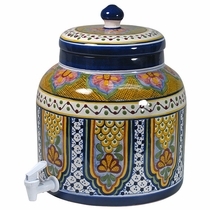 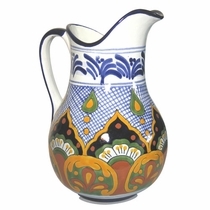 Talavera history and FAQs - Click Here. 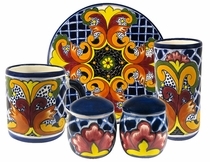 Six Unique Talavera Patterns with Matching Plates, Serving Pieces and More.